(June, 2009) Hi, Everyone! My name is Eileen Lowry. I was born in 1936 and have been retired for a few years now. I started off with a Hammond organ about 25 years ago. I then had a Lowrey, Farfisa, Tecnics and Yamaha. My last organ was a Tecnics, which I swapped for the Yamaha 6700 keyboard. Since then, I have stuck to keyboards. I have had the Yamaha 7000, 8000, 9000, 9000pro, Tyros1, Tyros2, and now, the Tyros 3. I have also had Roland, Tecnics and Korg but have always come back to Yamaha. I am mainly self-taught and I still gig. My one love is tweaking styles and setting up Registration banks. I have produced Instructional DVD's for the Tyros 1, Tyros2, and the Tyros3. I have written one or two songs and have a friend who sometimes writes me lyrics. I have two children and two grandchildren aged six and nine. My husband is not musically inclined, but carries all my stuff about. He also does anything I want done on computer as I am not very good on those things. I much prefer to use the musical keyboard. Well, that's me folks. 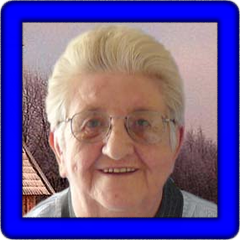 Eileen provided 20 songs in midi format. These were created on the Tyros3. Individual songs are shown in the table below and any one song can be downloaded by right-clicking on the song link. The table displays the song title, tempo (T), time signature (TS), lyrics (L), chords (C), where possible, the style used, the original volume (V), and the keyboard used (K). You can download Eileen's 20 MIDI songs here: EL-T3.zip.